This a quick post to say that my first book has now been published on Amazon. In total its taken a good 9 months from the initial idea. The book focusses on Personal Information Security and how in business personal information needs to be secured and protected. 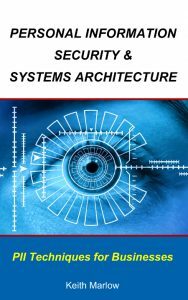 The book is full of lots of practical hints and tips combined with teaching you an approach to security that works. 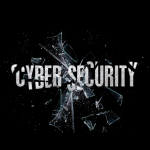 This is of particular importance given all the data breaches businesses are facing daily and the wave of regulations and legislation that governments are implementing to force businesses to take the matter seriously. 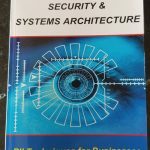 Those in the middle of trying to come to terms with the personal information in their business IT systems will find this book a valuable aid. It’s equally suited to the CTO, Security lead and systems engineer as it builds from first principals and has plenty of explanations and references throughout. To buy it on Amazon US – click here. Sort out your taxation position with Amazon early on – Due to the US withholding taxes, if you don’t make a specific effort to get those down to the minimum declared between where you live and the US – you could be up for 30% of the profit being held back. Because I’m publishing via this business, things were somewhat complicated to work out, so do all this up front. It will take you a good 6 months to have something publishable – Writing takes time, add to that getting people to review your writing and keeping up with changes and ensuring what your writing makes good sense, and the time will just fly by. Grammarly is your friend – buy the service and plug it into whatever you are using. Yes, you will probably go mad the first time you run it and it finds 100’s of errors in your writing, better this than them making it all way to print. 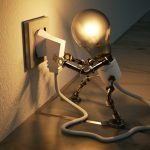 Your first draft will be terrible – Do not be disappointed! Keep working at it, take notes, think about how to add more valuable insights and reasoning to it. Certainly, do not publish it – you will need at least 2 revisions/rewrites before it is even near being ready (in that you have been over the whole text at least twice). If writing in Word submit to Amazon with the word doc direct, don’t use PDF – reason being going through PDF with Word tends to ‘damage’ diagrams in the document. Also be aware text rotations in diagrams get ignored (be nice if this was fixed, as it seems to rotate objects fine, just not the text in them). If this is critical to you, generate the diagram as a PNG and included in. When writing Chapters use the Section Next Page break always – this ensures your page numbers are continuous. if you want your Chapters to begin on the Right-hand page, manually insert blank pages as needed to make this occur. Amazon has a requirement that all numbered pages must be in sequence without gaps. Double check your page numbering in relation to indexes after upload – Do not be surprised if things ‘shift’, check you Chapter page numbers first in the Preview (you cannot publish without going through the Preview BTW). This can be due to either ‘hidden’ breaks (one right after the other, view in draft view to see them) or just blank lines that Word ignores but the importer picks up on (again see them in draft view). When you publish get into the habit of regenerating the indexes and content always – never assume your page numbering hasn’t shifted, the smallest change can impact this. Do not try to write it in order – much better to get the outline first and just put in placeholder text. I did it in red text, so I can easily see what had to be worked upon. The trick is bit by bit and not in order. This makes it that much easier to see how things flow and to work out if you have anything missing. When nearly ready do a Draft Print – this is where you get a copy printed at cost. This will catch any layout issues (I had problems with the diagram titles not following the diagrams). You can also check at this stage how the print ‘sits’ in the page, i.e. have you got your margins spot on? For me, it was slightly too ‘squat’. Once you are done with it, you can give it to a friend to read to see if in print it makes sense (as the way people read eBooks and print books is different). Make sure each chapter has a clear beginning, middle and end – There must be a point to each chapter and you must work up to that, do not just jump right in. This helps the reader and makes it more obvious what the focus of each chapter really is, so you might have to change the chapter title to fit it’s content better. My only bugbear is that it seems Word is unable to generate keyword indexes that hotlink, i.e. on the eBook form you end up with an index to keywords that uses page numbers, which do not exist in the eBook… The master index at the front gets hot linked okay, I think this is a Word thing, as many people have complained about it. This is one of the reasons why if you buy the printed book, you get the eBook for free as well. This entry was posted in architecture, pii, privacy, security, software architecture and tagged book, cyber security, data risk assessment, Personal Information, personal information security, pii, security. Bookmark the permalink.